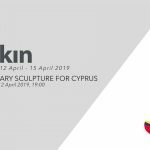 Cyprus’s first and only art-design-communication focused University Arkin University of Creative Arts and Design (ARUCAD) took part, with its students, at the Design Week Turkey that was held between November 16-18, 2018 at İstanbul’s Golden Haliç Congress Centre. Plastic Arts, Photography and Video, Visual Communication Design, Interior Architecture and Industrial Design Departments of the Arkin University of Creative Arts and Design took part at the Design Week Turkey, which is widely considered as being Turkey’s most comprehensive design event. The ARUCAD stand which had on display 8 pieces of work that were the result of workshops that were realised with the participation of students with the theme of “Island/Islander” proved a hit with the visitors. The Design Week Turkey; which focuses on bolstering of creative economies, encouragement of entreprenuership, collaborative multi-disciplinary projects and results of meticulous researches; brought together all creative industries with more than 65,000 visitors from home and abroad. Within the scope of the event, in addition to panels and conferences that were attended by household names from many spheres, such as fashion design, visual communication design and architecture, there was also a plethora of exhibitions, installations and workshops that were specially prepared for the Design Week Turkey by universities, artists, designers, design schools, design platforms, foreign and local design offices.